#PenSwag: NYC Loot and Giveaway!! Hey everybody. Sorry for not posting as usual on Tuesday, but I was in New York on a mini-vacation. While in NYC I picked up some pretty cool products. Some of which we are giving away at the end of this post! First, my family and I went to the Museum of Modern Art. It was a fantastic trip and very interesting. As we were leaving I decided to check the gift shop. 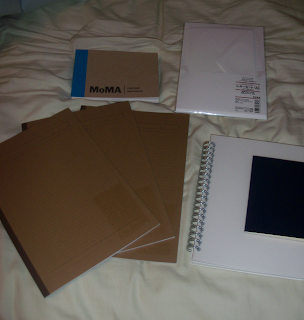 In there I found a very cool booklet of blank postcards that doubled as a sketch book. I picked it up and can't wait to send some postcards. Check the end of this post for a chance to win a personalized postcard from #penswag. After some more sightseeing we went to Times Square. 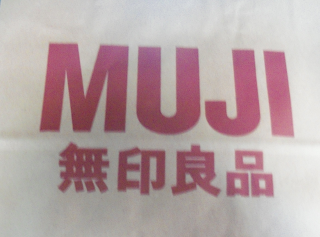 While there I saw one of several Muji stores in New York. These stores have been on my to do list for a while now and I was excited to try out some of their products. 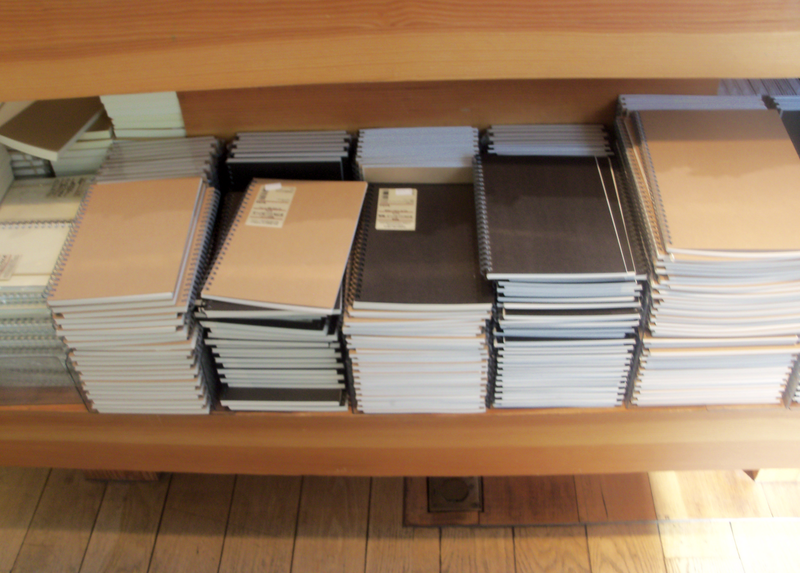 When I entered Muji the stationary section was right up front. I felt like I had gone to stationary heaven. There were cups filled with pens of all different colors and tip sizes. Stacks on stacks of notebooks of all sizes. I bought a little bit of everything. I bought three mid size ruled notebooks, a ringed smaller notebook with dot grid paper, a letter set, and a small passport size pocket notebook. I also bought 4 pens, ranging from .3mm - .5mm. You can expect reviews on all of these in the coming weeks. Below you'll find a chance to win one of the ruled notebooks, and a personal letter from #penswag. Now for the giveaway. Use the Rafflecopter submission form below to enter. One person will win the Muji Notebook, One person will win a personal letter from #penswag, and One person will win a postcard with a something badly drawn by #penswag. Enter below and tell your friends! It was a bit overwhelming, I wasn't aware it was not just a stationary store. They had all kinds of cool stuff there. Great article and giveaway. Thank you. 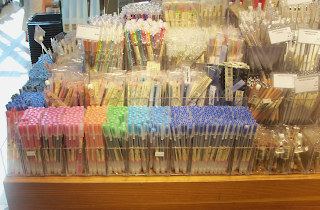 Oh yes, I always love Muji very much and wish that I could have ALL the pens! Thanks for the giveaway! Ah, I'd be stuck to the floor because I'd drool so much if I visited these places! Thank you for the chance to win! Lovely stuff! Thanks for the giveaway. I've heard a lot about Muji, I suspect I'll end up there one day! I have not had the opportunity to try Muji products and am looking so forward to being the lucky one. Muji...oh my! (p.s. i'm a postcard fan) Glad you had a great time in NY! Love Muji which we had them here. I did not want to leave the store while I was there.. but that also warrants for more frequent trips! Oh, my...the pens! The notebooks! Thanks for the chance to partake in some of the goodness. Amazing! I wish I had gone to that store when I visited NYC! It would be loverly to win something, anything ! thanks a bunch for the chance - molly z.